Rachael Ray demonstrating a Kybella treatment! Am I a candidate for Kybella™ treatment? Kybella™ is a nonsurgical and noninvasive way to treat fat under the chin area. If you can pinch your double chin and feel subcutaneous fat you may be a candidate for Kybella™. You can also tilt your neck or chin down and take a selfie to assess your need for Kybella™. It would be best to come in for a consultation with Dr. Supriya Tomar and make a determination if you can benefit from this new fat melting procedure. Sometimes, when the problem is skin laxity and not submental fat, you may benefit more from skin lifting and tightening procedures, like Ultherapy®, Thermage® or Endymed™. How is Kybella™ administered? How long does it take to get Kybella™ treatment? Kybella™ is administered by injections into the fat under the chin. The treatment sessions are very similar to other injectable treatments like BOTOX® , Juvederm® and Restylane®. Each in-office treatment session is typically 20-30 minutes. The region is photographed, marked and numbed prior to injections. Most patients will not feel significant discomfort from Kybella™ injections as Dr. Supriya Tomar will numb the area with lidocaine prior to treatment. You will feel some discomfort and burning sensation from the lidocaine injection. If you choose not have the lidocaine injection for Kybella™ treatment then you can choose to have topical numbing cream for 15 minutes prior to treatment. You may have some discomfort associated with Kybella™ injection when injectable lidocaine is not used for numbing. When injected into subcutaneous fat, Kybella™ causes the destruction of fat cells. Once destroyed, those cells cannot store or accumulate additional fat. After the aesthetic response is achieved, re-treatment with Kybella™ is not expected as the fat is removed permanently. 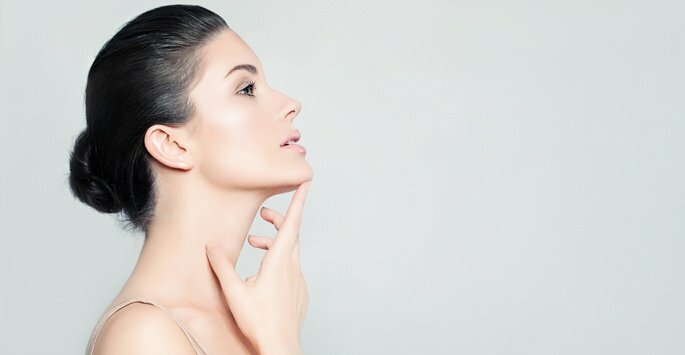 What side effects can I expect from Kybella™ treatment? How may treatments of Kybella™ will I need? Most patients will need between two to six treatments of Kybella™ to achieve the desired outcome. Treatments are spaced at least 4 weeks apart and results will be assessed 4-12 weeks after each treatment. After the desired aesthetic response is achieved, re-treatment with Kybella™ is not expected. Upon injection into subcutaneous fat, Kybella™ causes the destruction of fat cells. Once destroyed, those fat cells cannot store or accumulate additional fat. So, the results would be long lasting and re-treatment is not expected. Just like any other injectable treatment, the cost of Kybella™ depends on the number of vials used to treat the area. When you come in for your consultation with Dr. Supriya Tomar, she will assess the treatment site and the degree of submental fullness. The charges vary depending on the volume of Kybella used and start at $600 and go up based on individual patient need. Before being approved by the FDA, Kybella™ was the subject of over 20 clinical studies involving more than 2,600 patients. The results show that more than 68 percent of the patients participating in the phase III clinical trials responded to Kybella™ treatment. Seventy-nine percent of patients treated with Kybella™ were satisfied with the results. Supriya Aesthetic Dermatology is proud to offer Kybella™ aesthetic injections to all its patients in Jupiter, West Palm Beach, and Palm Beach County. For an appointment, contact us at 561-805-9399.